The first longtime account, the Dublin Pub, proudly carried both Altbier and Weizenbier. 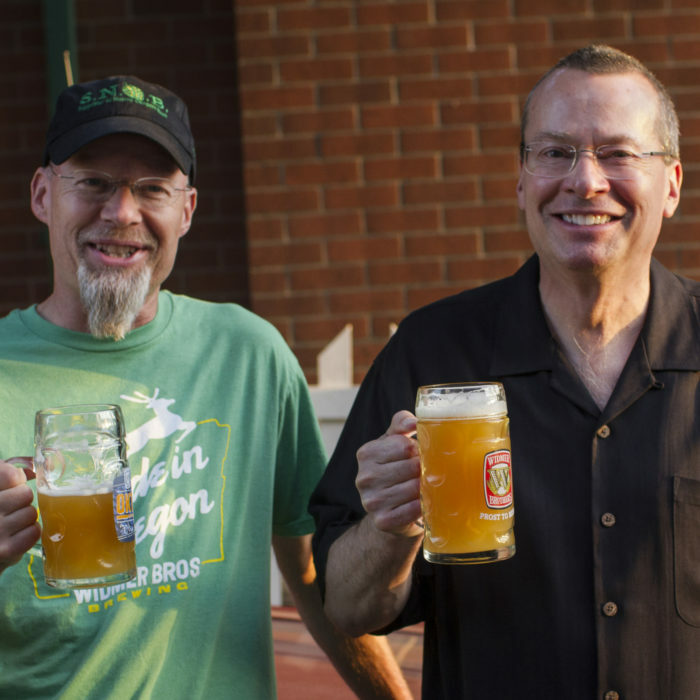 The owner is eager to expand his offerings and asks the Widmer brothers to make a third beer. 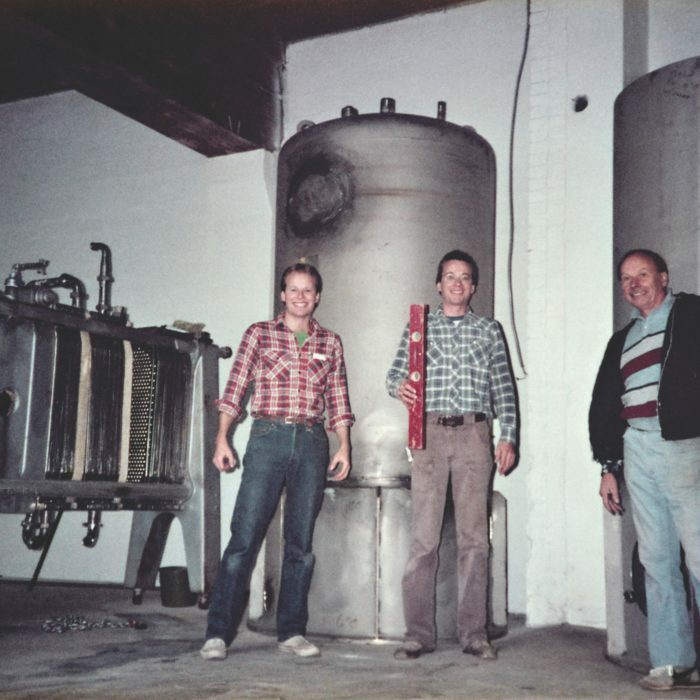 This was tricky: the Brewery only had two fermenters at the time and the brothers couldn’t afford to buy another one. So, with a stroke of genius Kurt and Rob simply decided to leave their Weizenbeer unfiltered and put it directly into kegs, the result was a unique and impressively cloudy beer. It was at that moment that the Widmer Brothers had created the first American-style Hefeweizen or Hefe, which is translated from German as ‘yeast wheat’. If you ever run into the Widmer Brothers, make sure you pronounce their beloved beer as they intended, “hey-fuh”. In a time when most microbreweries were trying to perfect their flagship beers, the Widmer Brothers had a unique idea to innovate the industry yet again. Kurt and Rob introduced a four-time rotating seasonal beer lineup, which was the first time a US brewery introduced “seasonals”. The first beer in the seasonal lineup was Festbier, an innovative ‘winter warmer’ beer brewed for the cold winter months. 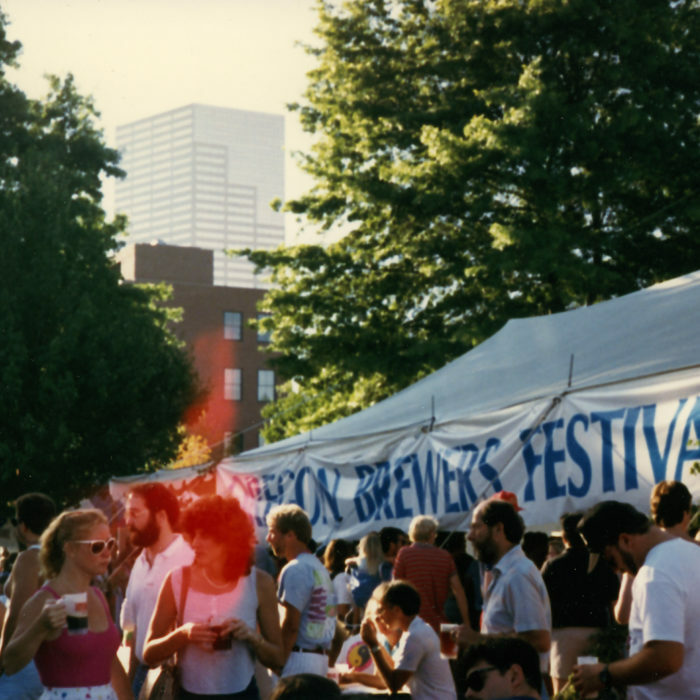 The Widmer Brothers, along with Bridgeport Brewing Company and Portland Brewing Company, launched the very first Oregon Brewer’s Festival. This highly successful festival started to attract the attention of beer enthusiasts nationally. Today the Oregon Brewer’s Fest is attended by over 80 breweries and 70,000 people, always the last full weekend in July. 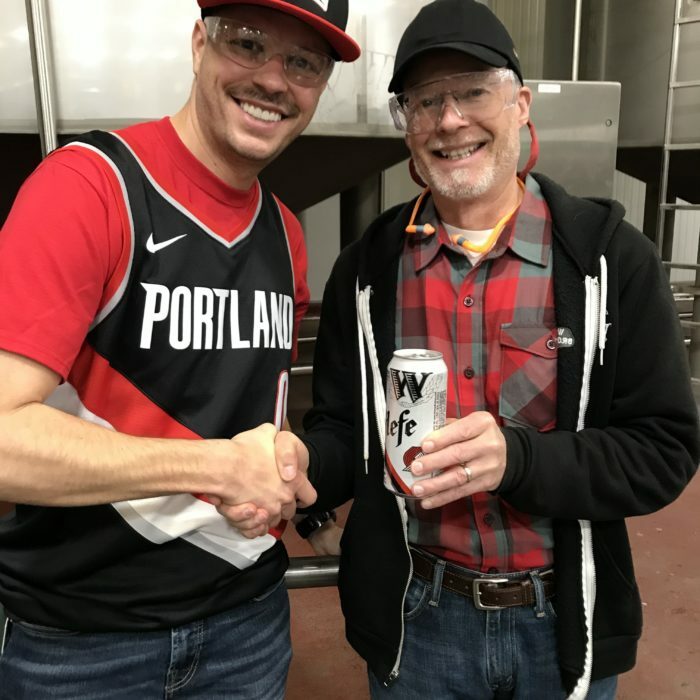 Outgrowing their beloved first brewery, Kurt and Rob move the operation to its current location in North Portland, and rename the brewery Widmer Brothers Brewing Company. After becoming the largest draft-only brewery in the western hemisphere, the Widmer brothers take a step forward and begin bottling their beers for the first time. Widmer Brothers and the homebrew club Oregon Brew Crew work together to create the Collaborator Project. The goal of the Collaborator series is to grow the community of home brewers in Oregon. Through this annual competition, different home brew recipes are chosen and produced in the innovation brewery at Widmer Brothers Brewery, giving homebrewers the chance to have their recipe brewed on a large scale. 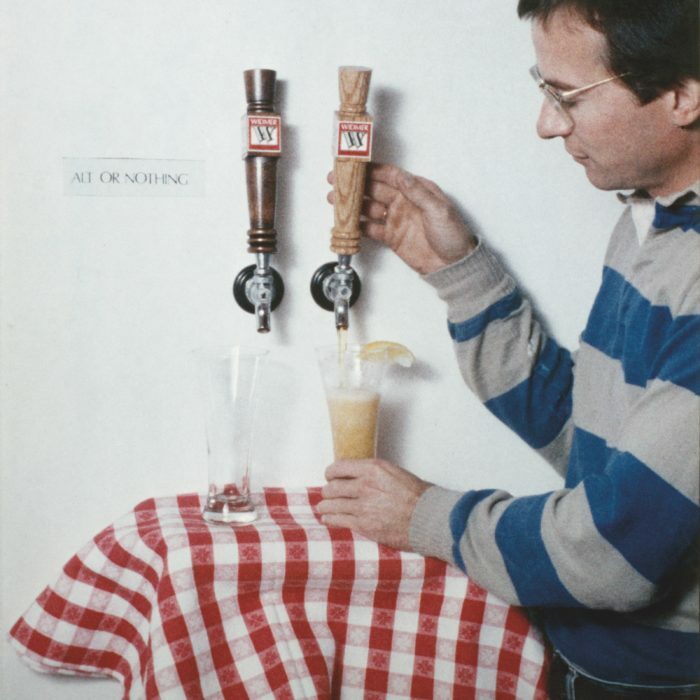 Spoiler alert: 20 years later 55 recipes from the Collaborator Project have been brewed with many winning national awards, including a gold medal at Great American Beer Festival. Visit the Oregon Brew Crew http://www.oregonbrewcrew.org/ for more info. Always pushing the envelope with craft beer, the Widmer Brothers Brewery launches the “W Series” which showcases our brewmaster’s most innovative and off the wall recipes. Beer enthusiasts from across the country flock to the brewery with each new release. Widmer Brothers celebrates its 30th year anniversary with the reopening of its newly remodeled Widmer Brothers Pub. The Widmer Brothers Pub is now an open seating destination focusing on the true craft beer experience. The new pub showcases 24 rotating tap lines and introduces “Thursday Tap Days” where patrons can try a new freshly tapped beer made from the innovative minds of our master brewers. Widmer Brothers Hefe becomes the Official Craft Beer of the Portland Timbers. Pints up Portland! Hefeweizen is Oregon’s favorite craft beer and continues to win awards at national beer festivals including a Bronze at The Great American Beer Festival. The Widmer Brothers Brewery cranks out new beers and innovate Oregon’s craft beer scene. Amazingly, Kurt and Rob Widmer are even more handsome and charming than they were in ’84. It must be all that beer! Prost!